Periscope Introduces Comment Moderation: Periscope rolled out “a comment moderation system that empowers our community to report and vote on comments that they consider to be spam or abuse.” Periscope recognizes that comments are a “vital part of the [Periscope] experience and [has] been working hard on a system that still feels true to the live and unfiltered nature of [the] platform.” The intent was to build a system that is transparent, community-led, and live. On its company blog, Periscope offers a step-by-step guide on how the new comment moderation system will work and integrate with established functions. Medium Rolls Out New Publication Tools: “Publication owners on Medium are getting some powerful new additions” to the site. 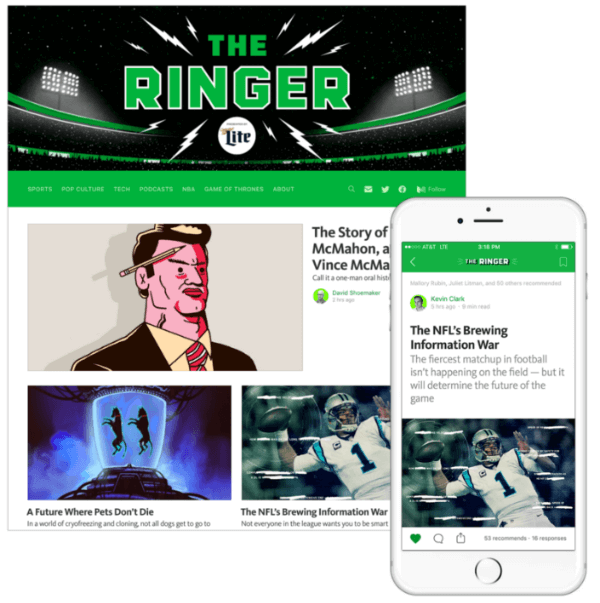 These new tools include full-text RSS feeds, customizable URL slugs, a navigation bar that appears on each story in your publication, the ability to link to individual stories in the navigation bar, and branded profiles for every editor. In this blab from Friday, June 3, 2016, Erik Fisher and guests discuss the top news in social media. Topics include Adobe Spark (1:05) and Instagram business tools (21:37). Subscribe to future shows here. Pinterest Makes Save Button Available Worldwide: Last year, Pinterest rolled out improvements to its Pin It button, which it calls the “the save button for the internet.” This week, Pinterest announced that it’s “making it official.” Now when you hover to add images to your Pinterest boards, you’ll notice that the company has “swapped [the] Pin It button for the more utilitarian Save instead.” Pinterest also announced that it has improved pins themselves. Users can now see all of the boards across Pinterest into which other people have saved a specific pin, “giving [users] even more places to find fresh ideas.” These updates are now available globally. Facebook Adds New Emojis to Messenger: Facebook announced that “Messenger is bringing over 1,500 newly designed Messenger emojis to the world” with diversified skin tones and gender options. Facebook also announce that it’s “rolling out a new set of standardized emojis so you can be sure you’re sending the right message.” This means that emojis will display consistently across Android, iOS or other platforms. 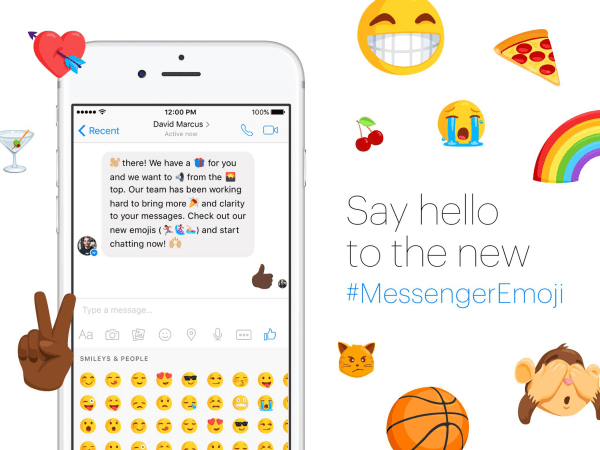 These new emojis are now available to all Messenger users worldwide. Facebook, Twitter, YouTube and Microsoft Partner With EU on Internet Code of Conduct: In an official statement from the European Commission, Facebook, Twitter, YouTube, and Microsoft have partnered with the EU to “unveil a code of conduct that includes a series of commitments to combat the spread of illegal hate speech online in Europe.” This agreement includes removing any content deemed to be hate speech or terrorist propaganda within 24 hours of it being posted to these platforms. Each company also agreed to remain committed to continuing efforts to tackle illegal hate speech online. Twitter Tests New Automation Tools for Premium Pre-Roll: Twitter announced that “advertisers now have an easier way to serve pre-roll ads of any length in front of the most premium mobile videos.” Twitter pre-roll will now “support Video Ad Serving Templates (VAST) through select Ads API partners.” In a company blog post, Twitter listed four automated ad-buying system partners that can begin to run campaigns in the beta today: AdParlor, Amobee, TubeMogul, and Visible Measures. This feature is currently being tested in the U.S. only. Facebook Introduces New Artificial Intelligence System, DeepText: Facebook DeepText is a “text understanding engine that can understand with near-human accuracy the textual content of several thousands posts per second, spanning more than 20 languages.” According to the Facebook Engineering blog, DeepText “has the potential to further improve Facebook experiences by understanding posts better to extract intent, sentiment, and entities (e.g., people, places, events), using mixed content signals like text and images and automating the removal of objectionable content like spam.” Facebook is currently testing the DeepText functionality within specific experiences such as Messenger and actively looking to broaden its applications. New Unicode Emojis to Be Released: The Unicode Technical Committee has agreed on 72 new emojis that will be added to Unicode 9.0, for release in June 2016. A full list of the new emojis being introduced can be found on the Unicode Consortium website. Internet Trends Report 2016: Kleiner Perkins partner Mary Meeker has released her yearly compilation of the most critical stats and trends on technology and how it’s evolving. This in-depth and detailed report explores global Internet trends in digital advertising, commerce, communication, and data. One key finding shows that messaging is currently dominated by Facebook and WeChat and is rapidly evolving from simple text dialogues into a center for self-expression and commerce. Online advertising in the U.S. is growing with Google and Facebook controlling up to 76% of the market. Video viewership continues to expand with Snapchat and Facebook Live leading the way. However, advertisers are still spending too much on legacy media, rather than new media where the audience has clearly shifted. Digital Content NewFronts: Video Ad Spend Study 2016: According to new research from Advertiser Perceptions and the Interactive Advertising Bureau, advertisers are spending more than $10 million annually on digital video, which is an 85% increase from 2 years ago. This rapid growth is largely driven by a substantial increase in mobile video allocations. Those surveyed plan to invest more money into both digital and mobile video advertising spending over the next year. Digital Impact Report on Online Identity: Vistaprint Digital Services polled 2,000 American Internet users between March and April 2016 on the impact of having an online presence on small businesses. Almost 37% of respondents primarily discover and learn about businesses through online research. Thirty-five percent credit word of mouth. The study also found that 45% of respondents are unlikely to shop at a small business with a poorly designed website and 60% say it’s important for small businesses to have a social media presence. 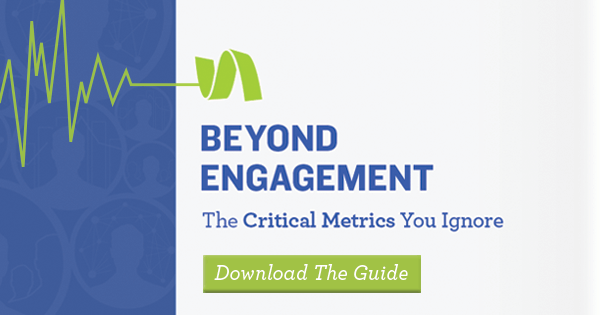 The study showed 1 in 4 consumers uses social media to find small businesses for the first time. The types of information potential customers look for online are location, hours, product info, and reviews. What do you think of Instagram’s new business tools? 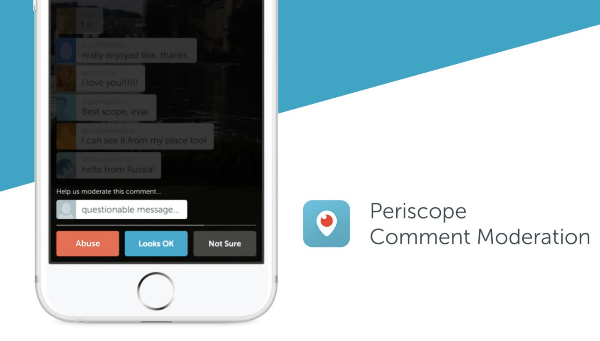 Have you tried the new comment moderation features in Periscope? Please share your comments below. 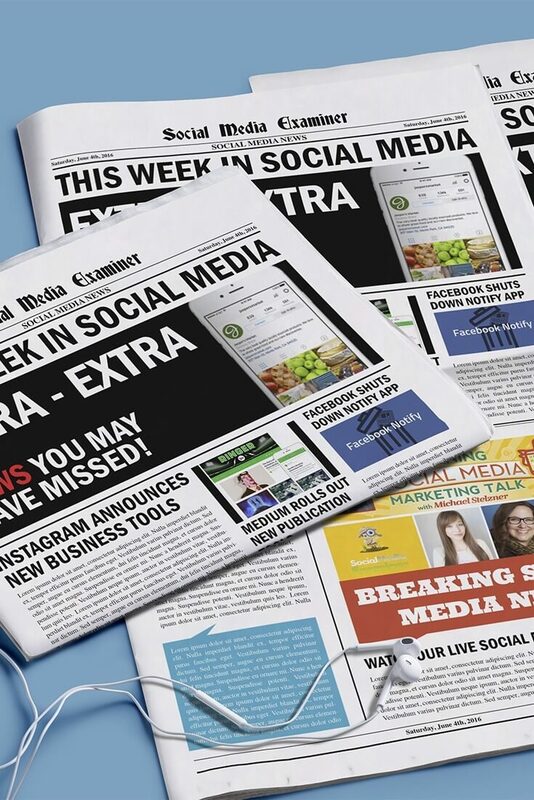 Instagram Launches Business Profiles and other social media news for June 4, 2016.